The record-hot boating summer will also fill up the piers at the 2018 Helsinki Boat-Afloat Show, opening in Lauttasaari on 16 August. More than 150 exhibitors will showcase their offering including 260 boats in the fully booked exhibition area. “The Helsinki Boat-Afloat Show is more distinctly evolving into a display arena for new products. For example, the new V60 model by the luxury boat builder Princess will make its global debut in Lauttasaari,” says Jarkko Pajusalo, Managing Director of the Finnish Marine Industries Federation Finnboat. The Helsinki Boat-Afloat Show gives good visibility to new boat models, but another thing that comes across clearly at the event is the popularity of new kinds of fishing boats. At the fishing pier of Alandia Marine Insurance located right near the entrance there are as many as 18 fishing boats on show, each equipped and accessorised to a high standard. Finland’s most acclaimed fishing guides will deliver info sessions on the fishing pier every day. Pasi Tuike of Natural Born Fishers will be the host. Also present will be “pike guru” Antti Heinonen, the Finnish casting champion Touko Liimatainen who also has a hand in the development of Aaltomarine fishing boats, Kalle Konttinen of Alucat, Jyri Kuusisalofrom the Kalastajan Kanava (“fisherman’s channel”) online medium and Jani Ollikainen from Buster’s fishing team. his time there will be more buzz at the Boat-Afloat Show together with a new kind of sailing atmosphere, as the visitors will have a grandstand view of the third and final race in Finland’s Purjehdusliiga (“sailing league”) on Saturday and Sunday. 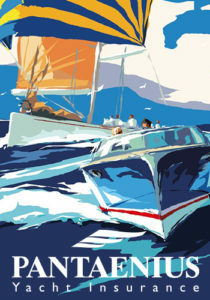 The sailboat pier will feature both catamarans (that are enjoying increasing popularity) and new monohull yacht models. There are altogether nine sailing boats on display at the show. Those who are into motorboats will find a record selection of new large-size boats at the 2018 Helsinki Boat-Afloat Show. The Finnish-built Grandezza 37 cruiser will be on show for the first time. Walk-around “SUVs of the Sea” from traditional Ostrobothnian boat builders have generated an international trend. The models present at the show include the Targa 46, the Sargo 31 and the Nord Star 32. The French boating giant Jeanneau will display its new NC 33 cruiser. Princess, the UK manufacturer known for its luxury boats, will place three models on show at the pier: the Princess S65, the biggest boat of the event, the Princess V60 making its global debut and its smaller sister model Princess 43. Alongside these British craft there will be two luxury boats from the Italian company Ferretti, the Riva Aquariva Super representing a classic design and the Pershing 5X, a 54-foot motor yacht. The Finnish Bella company from Kuopio will showcase the flagship model of its new aluminium boat line-up, the Falcon BR8 bow rider. The Ähtäri-based Buster will display three of its new models for the season, now for the first time out on the water: the Buster Phantom Cabin, the luxury commuter and flagship model in the line-up, along with the Buster Magnum and the Buster SuperMagnum, the two latest models in the most popular range of large open boats in the Nordic countries. 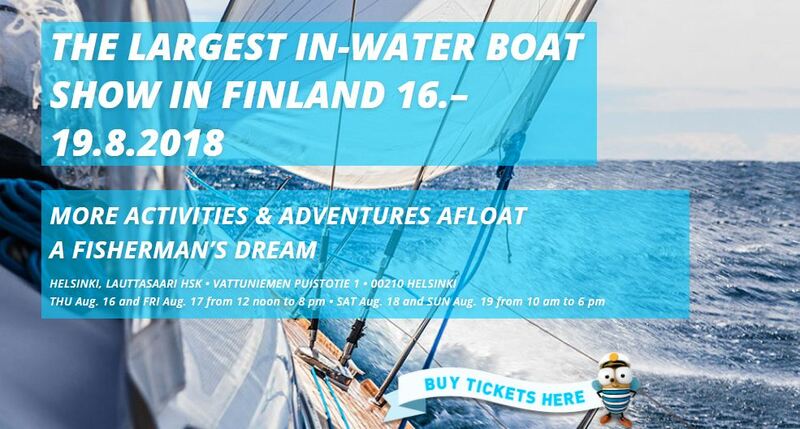 Finnish outboard engine boats will be represented, among others, by AMT, Bella, Falcon, Faster, Finnmaster, Flipper and Silver, so there will be a whole lot to see particularly in the most popular class of 5-6-metre open boats. Additionally, a line-up of altogether seven different-coloured Marino Mustang retro boats will be moored at the show. The fishing pier will have models such as the Apaji 540 Pro, the Falcon BR6 and the Buster M accessorised for fishing. 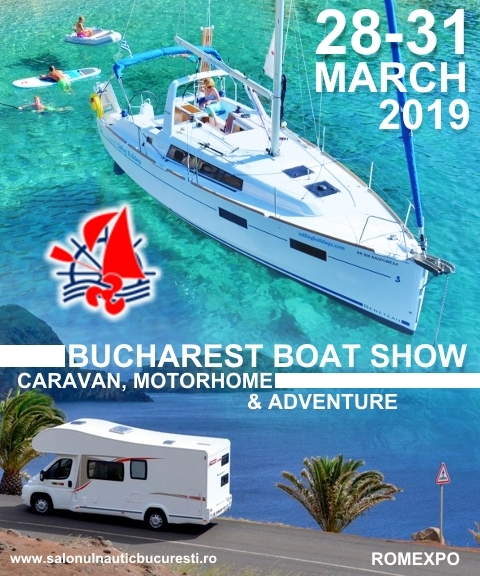 The show will also feature new professional boats: the Arctic Airboats designed for use by rescue organisations and maritime rescue providers and the WaterMate intended particularly for tourist transports. The 2018 Helsinki Boat-Afloat Show takes place at the HSK yacht club’s marina in Lauttasaari (address Vattuniemen puistotie 1, Helsinki). The exhibition is open between 16 and 19 August as follows: on Thursday 16 August and Friday 17 August, from 12 noon to 8 pm; on Saturday 18 August and Sunday 19 August from 10 am to 6 pm. Standard tickets cost €13 in advance and €15 at the gate. Children’s tickets cost €4.35 in advance and €5 at the gate. Group tickets cost €10 per person. Group tickets are only available in advance sales in the online store for a minimum order of 10 tickets. Next New this year at the United States Powerboat Show!